The star at this Santa Clara mainstay is the Orenchi ramen, a rich tonkotsu (pork bone) broth laden with chewy wheat noodles and topped with Kurobuta pork. Polaroids of broth-drunk, sated customers collage the walls at Yoshiyuki Maruyama's Santa Clara mainstay. 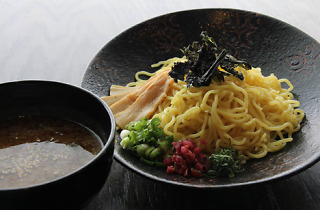 Though the shop offers shoyu (soy sauce) and shio (salt-based) varieties, the star is the Orenchi ramen. 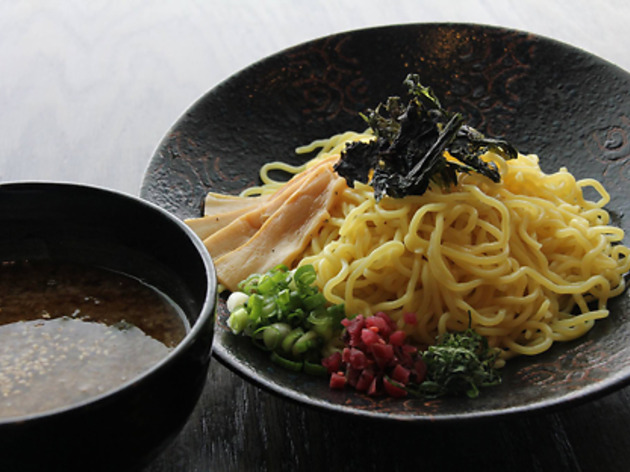 The bowl's rich tonkotsu (pork bone) broth is thickened by a creamy raw egg, laden with chewy wheat noodles and topped with roast Kurobuta pork, green onion, bamboo shoot, mushroom, sesame and nori. Additional toppings are available for 50 cents to $1 each, like a Naruto fish cake or Tokyo leek. The restaurant closes when the soup runs out, so plan accordingly. And if you're not up for a trip to the South Bay, check out Maruyama's Mission spin-off, Orenchi Beyond (174 Valencia St at Duboce Ave).